BinaryOptionsNow – Binary options broker EZTrader recently underwent a “mini-rebrand” that resulted in the upgrading of the company’s logo as well as its trading platform. The new changes were implemented in order to offer traders more modern trading conditions. One of the most important recent changes that were implemented by EZTrader was the implementation of a new trading interface. 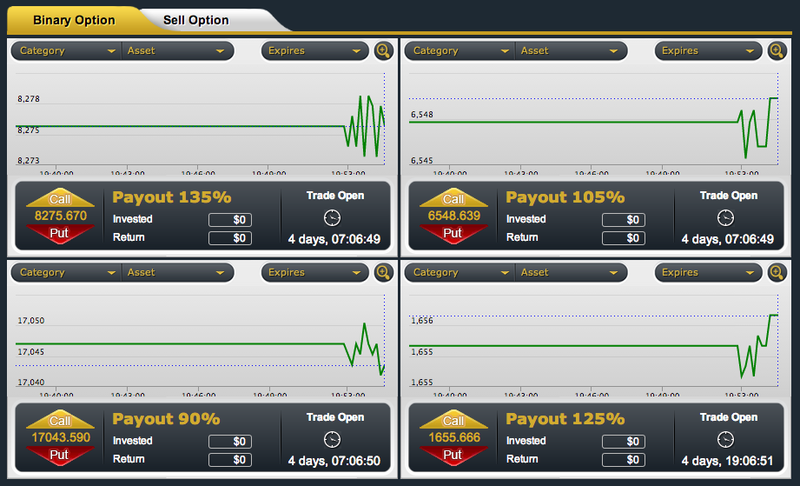 The new trading interface allows traders to view multiple assets and their related graphs on a single window. This permits traders to simultaneously watch for the development of trends related to multiple assets. 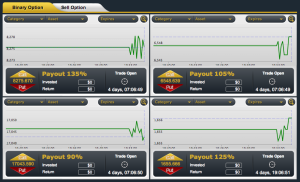 The new trading interface also allows traders to easily customize their binary options contracts before purchasing them. Parameters such as the expiration time, investment amount, and direction of the asset can easily be adjusted with just a few mouse clicks. Potential returns and payout rates are clearly pointed out on the new interface. Below the trading interface traders will also have the possibility to track all the previously opened contracts and all their related details such as payout percentage, expiration time and more. A very useful feature of the new platform is the possibility to purchase so-called Sell Options. Using this feature, traders will be able to sell their binary options contracts before the expiration time in case they believe that their contracts will finish out of the money. By selling opened contacts traders will be able to recover some of the invested money. EZTrader is at this moment one of the largest binary options brokers that accept the registration of US traders. As explained above, the broker offers an elegant and very user friendly trading interface, however at this moment apart from the special Sell Options type only traditional high/low options are being offered. 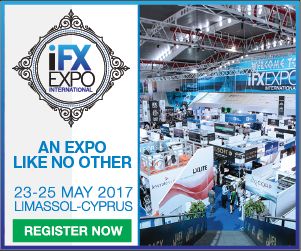 Traders will be able to trade on a very large number of assets from forex currency pairs to stocks, commodities and indices. The largest number of assets is in the category of stocks. The number of stocks at EZTrader is so high that the broker was forced to divide its list of stocks into multiple categories that represent major geographical areas and continents such as Asia, Europe and America. The broker provides a decent selection of payment methods such as MasterCard, Visa, Discover, JCB, Diners Club, wire transfer and Moneybookers. Traders will have to deposit at least $200 in order to open a real money account. Withdrawals are usually processed within only 3 business days after the broker’s support staff has approved them. Payouts offered at EZTrader can reach as high as 95% in most cases, a payout rate that is above the current industry average. EZTrader’s new platform that was just implemented is also available and accessible from mobile devices as well, allowing traders to connect to their trading account regardless of their location. Yet another great feature offered by the broker is the possibility to recover some of the invested money on all losing trades, even on those that are not in the category of Sell Options. This is accomplished though a rebate scheme the broker has created and is offering to traders. At this moment traders may recover as much as 15% of all their lost investments through the broker’s rebate scheme. Click Here to Open A Free EZTrader Account Today!